a two-state hidden Markov model is fitted to observed (or transformed) measures of financial turbulence,inflation and economic growth to partition history into meaningful regimes . the in-sample performance of a variety of risk premia is probed by comparing scaled differences in respective state means across regime variables. 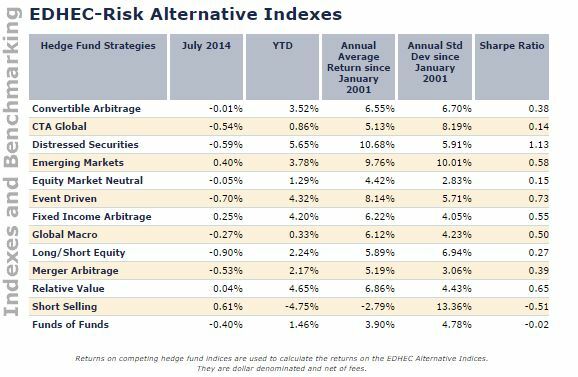 the out-of-sample performance of risk premia is examined by  tilting portfolios dynamically according to the likelihood of a particular regime and by  comparing the results of asset allocation that is conscious of regime switching versus the static alternative. The excellent (but sadly idle) Quantivity blog has replicated some parts of the paper with much more rigour than I am capable of. This is perhaps as good a time as any to mention some differences between my post,the original paper and Quantivity’s post (QP). One point of departure between my and QP’s post relates to the library/package used to estimate the hidden markov model. While QP used the RHmm package, I can only use the depmixS4 package (RHmm seems to be incompatible with newer versions of R…at least for me). As far as I can tell,the depmixS4 package does not support forecasting which means that I will probably not be able to take a gander at the out-of-sample issues alluded to above. Another difference relates to the risk premia used in the original paper versus my post. Instead of using these data series (shamelessly snipped from the paper), I simply downloaded a revised edhec data set (which comes with the PerformanceAnalytics package) from the edhec-risk-homepage : http://www.edhec-risk.com/indexes/pure_style. In terms of the data used in this project, it is useful to make a distinction at the outset between economic regime variables which are used to partition history into different states in a meaningful way) and risk premia (simple returns in my case) which are used to assess performance across states for each economic regime variable. Financial market turbulence comes in two flavours : Equity and Foreign exchange. 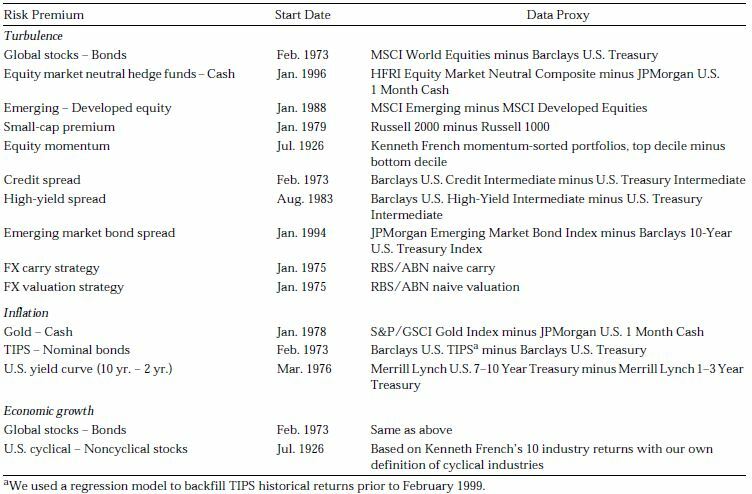 The Equity Turbulence Index (ETI) was constructed by  downloading sp500 daily returns, estimating mean and covariances using equally weighted historical returns for the past 10 years and  averaging the daily turbulence scores within each month. The Currency Turbulence Index (CTI) was constructed by  downloading daily currency returns (vs.USD) for 8 of the G-10 countries,  estimating mean and covariances using equally weighted historical returns for the past 3 years and  averaging the daily turbulence scores within each month. Now that we have downloaded or generated the necessary data series, the next posts shall deal with  fitting a 2 state hidden markov model to the economic regime variables and  assessing in-sample performance of different strategies across the hidden states for each regime variable. 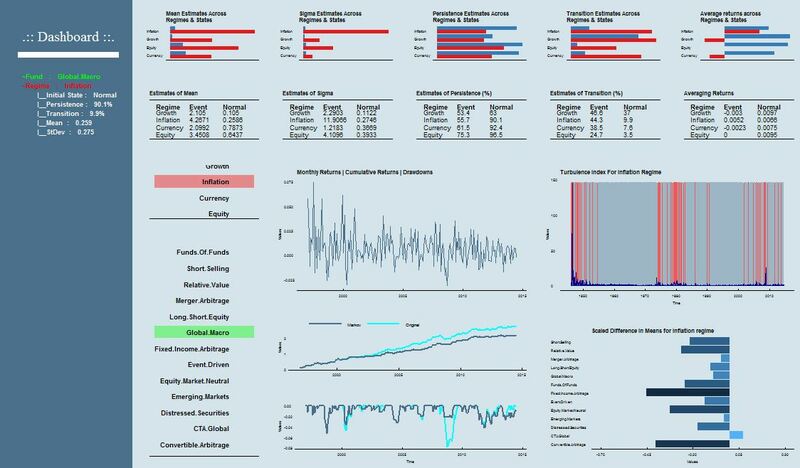 Ultimately I wish to present a dashboard of results for a chosen fund/regime combination.